Blockchain technology is changing the world in many different ways. Governments and enterprises are developing the solutions they need using blockchain. But some countries are imposing tight controls over the market something that can be really harmful for the environment. U.S. Rep. Tom Emmer said that regulators should resist the temptation to be heavy-handed. According to Mr Emmer, Blockchain Technology could be the most significant change in society since the American Revolution. This one of the reasons he believes the technology should have space to grow. 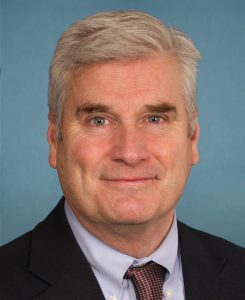 Emmer believes that the United States should mirror Japan and copy the way that regulations apply there. In Japan, the Financial Services Agency (FSA) is the only authority that has jurisdiction over cryptocurrencies. He has also explained that innovation has pace to grow when governments do not stifle it. At the same time Emmer explained that the most interested in the technology and cryptocurrencies are the youngest generations. Additionally, these millennials do not have so much trust for the government as older generations. In the past, Christopher Giancarlo, chairman of the Commodity Futures Trading Commission (CFTC) said that the government should develop a positive outlook about cryptocurrencies. He has also defended the youngest generations saying that most youngsters are interested in cryptocurrencies rather than in traditional markets like stocks.